Hmmmmm - decimal paces probably don’t matter too much but I get 84 dead? Thanks Steve, car will be 863kg without me in it. So for the SSSC your factor is approx 0.8529. 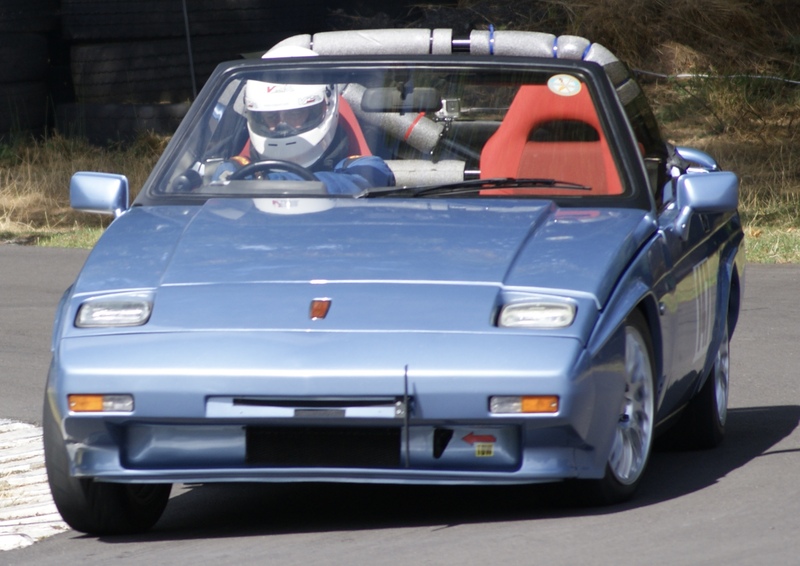 Thats interesting - your car is totally bog standard (with a standard rollbar) at 863Kg. I need to shave some KGs off the driver to make mine quicker still corners better and flatter on right handers though with me behind the wheel! Left handers not so good! The only mod on mine is the extra box sections below the drivers seat now it’s been lowered and the MGF seat itself. KN "Reliant" alloys are as light as you will get at 5.5kgs each. Soft top much lighter than hardtop. 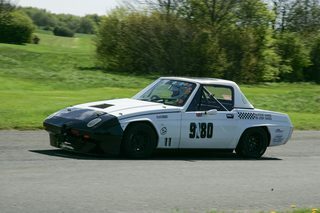 What's a standard roll hoop weigh, 8 kgs? In my books 863kgs seems reasonable. Mine is over 900 but I've got a good idea of where much of that "extra" weight is. Andy, you'll have to lean a bit more in corners then, active ballast! Are you sure about the weights? I don't meant be personal, but this has you at over 20 stone. this may be correct. It is interesting how much less power older cars had than was claimed, as above. In theory the later Essex had 144 horses. Standard cars generally come out at about 110 to 120. As said before ,moderns seem much more accurate. My standard MR2 showed 178 on Northampton Motor sports dyno compared with a factory figure of 173! We think this dyno is a little optimistic. Other than my race licence and entry details etc, do I need any other documentation for me or the car? I took photocopies of all the paper work however MOT and TAX was the only ones looked at by the scrutineer. Think the regs state MOT, Tax proof and insurance. Did you just do a DVLA screen print for the tax? I just take a DVLA screen printout. Once when I forgot to take anything, I just got the details up in my phone from the DVLA website. I’ve never been asked for a V5. As Steve phone or paper will do, you can’t beat paper though it never needs a signal or battery. I have an A5 folder that I keep all our docs in such as licence, logbook, V5 etc. Gutted!! - despite a thick layer of wax, the race numbers have peeled some of the paint off the passenger door! The only upside is that it was the same door that was blistered slightly further up and one of my tie down straps rubbed on the way back from Curborough. I am sure getting a sliver door matched and sprayed wont be cheap! I may wait till the end of the season.